This is a scalable context timeline. 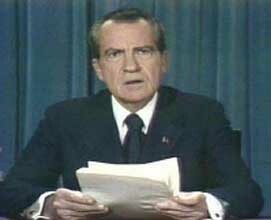 It contains events related to the event Early Fall, 1976: Frost-Nixon Interviews Postponed, Allowing More Focus on Watergate. You can narrow or broaden the context of this timeline by adjusting the zoom level. The lower the scale, the more relevant the items on average will be, while the higher the scale, the less relevant the items, on average, will be. 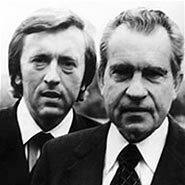 After 14 hours (of the allotted 24) of the Nixon/Frost interviews (see Early 1976), most of the Frost research team feels that former President Richard Nixon has gotten the best of interviewer David Frost. 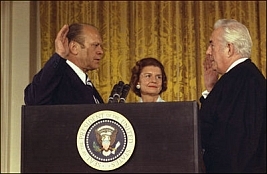 Nixon has largely been allowed to expound at length on his many self-proclaimed triumphs in foreign policy until the last few sessions, and except for brief moments where Frost tried to corner Nixon over his Vietnam and Cambodia policies, Nixon has escaped with his reputation not only untarnished, but likely even somewhat burnished. Frost Enabling Nixon's Resurrection? 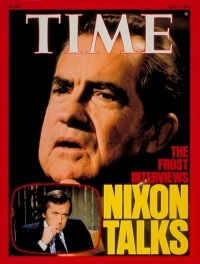 - After the day’s interview (see April 6, 1977), many on Frost’s research team lambast him for not pressing the point that Nixon’s arguments contravene almost everything the US stands for. (One television technician wisecracks after the first round of interviews, “If he keeps talking like that, I may vote for him.”) Team member Robert Zelnick tells Frost, “You sound like two old chums, sitting around a pork barrel, talking about a bowling game, rather than about the incredible divisiveness that Nixon himself deliberately caused.” Frost defends himself by saying that Nixon “admitted what we wanted him to,” but Zelnick retorts: “But how is the audience to know? 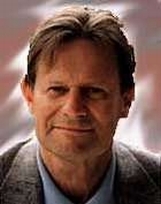 You have to state the opposite view.” Frost’s producer John Birt adds: “Sniping at him is not good enough anymore. The absurdity of his position must be underlined. If you don’t respond to the absurdity, then it appears as if you not only accept his view, but endorse it.” Frost’s afternoon session with Nixon is more challenging, and later some observers categorize the Huston Plan interview as, in the words of author James Reston Jr., “the most damaging period in all the Nixon interviews” (see April 6, 1977). 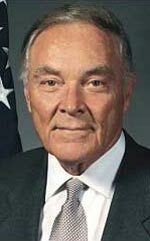 Apology and Admission - Nixon’s response is typically long, prefaced with a rambling discussion of his instructions to speechwriter Ray Price to include his own name with those of Haldeman’s and Ehrlichman’s in the speech announcing their resignations “if you think I ought to” (see April 29, 1973), a litany of all the good things he did while president, and a short, bitter diatribe against those who had sought to bring him down. 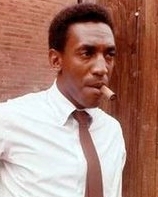 He never committed a crime, he insists, because he lacked the motive for the commission of a crime. The cover of ‘Conservatives Without Conscience.’ [Source: Barnes and Noble (.com)]Author and former Nixon White House counsel John Dean writes in his book Conservatives Without Conscience that it was never public opinion that drove Richard Nixon to resign his office (see August 8, 1974).